I promise, I kept Drake references to a minimum for this review. There's a lot going on in Southern California right now. With each new report, I start feeling a little bit more like the entire bottom half of Cali is on fire. By the way - many thanks to those of you who have sent random messages checking in on me. By God's grace, my family and I are not in any evacuation zones - but we are definitely feeling the impact in terms of air quality. It literally smells like someone's been BBQ-ing every day for at least a week now. One of the crazy things about Southern California right now is that not only is the air smoky, it's DRY AF. Make you wonder if you're sick dry. Wake you up in the middle of the night dry. Have you ever slept in air so dry and disrespectful it had the audacity to wake you up at 2am?! Needless to say, my hair has been craving moisture. I've had to put my beloved Eco Styler on the back burner, in the off chance that it would turn my curls into a brush fire. I've been rocking with products that intensely hydrate, nourish, and lock in moisture. I'm no stranger to these natural hair gems from the 6ix, and if you've been around these parts - you shouldn't either! 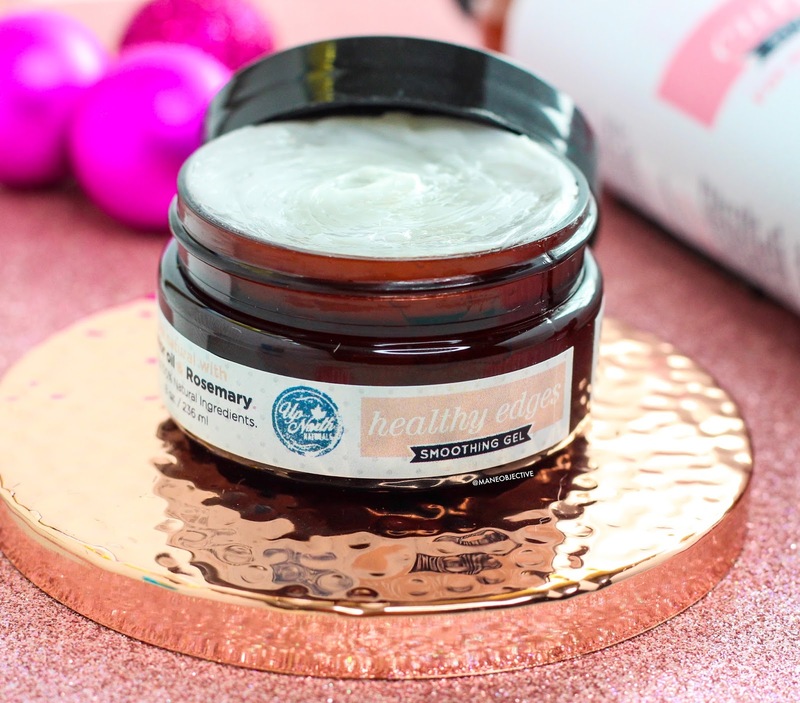 I've done a full line review, and a few Up North Naturals products have even won the prestigious (in my mind) Christina's Choice award. Peep all that here. In the time since my last review, Lisa has been busy cooking up all kinda goodies - two of which have now earned their rightful place in my regimen. 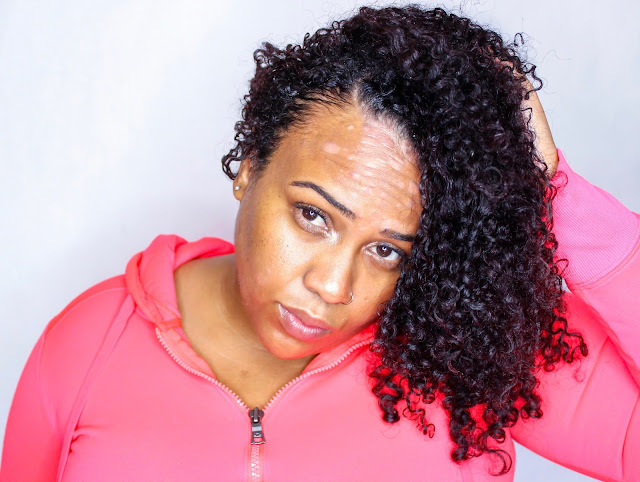 I'm talking about the Curl Ease Styling Lotion and Healthy Edges Smoothing Gel. What's so special about these two gems? Keep reading and I'll break down exactly why. "Cuz if I don't share the wealth, how the [bleep] we 'sposed to grow?" I had to throw at least 1 Drake line in there. It just wouldn't be right any other way. Have you ever tried to take pictures using real aloe vera? Talk about a challenge! Note: For this product, I just went ahead and broke down the entire ingredient list. It's really short - which is a great thing. Vitamin E: Vitamin E is an antioxidant, which is good for hair growth, skin rejuvenation, and repair. Vitamin E moisturizes, nourishes, and protects hair to prevent damage and hair loss. Rose Essential Oil: A multu-functional oil created from rose petals with hydrating and moisturizing properties for the hair and skin. Rose essential oil can also help stimulate the scalp, fight inflammation, and has antiviral and antibacterial properties. First things first, I'm addicted to the fragrance. Which is crazy, because if you peep the ingredient list - there's NOTHING artificial about it! Lisa, my scalp thanks you. While my scalp isn't hypersensitive to artificial fragrances, I always prefer natural oil scents or fragrance ingredients wayyyyy down on the list. Curl Ease smells like that Jergen's cherry almond scent that I was obsessed with as a kid, with a sweet gentle twang of rose on top. It's subtle, yet delightful. If Up North Naturals released a hair perfume, body butter, or body spray with this scent, I'd buy it in a heartbeat. I just realized I wrote an entire paragraph on how the product smells. Let's talk other details. Curl Ease is a true styling lotion, meaning you're not going to get that almost-impossible-to-get-from-the-bottle feeling when trying to pump it for use. It's velvety and sleek, coating the hair with lightweight moisture. Oh and the slip? Amazing. I wouldn't insult this product by using it as something to rinse out (detangler), but it can definitely serve that purpose if need be. But when you see how it just captures my curls - you won't want to use it any other way but as a leave-in. 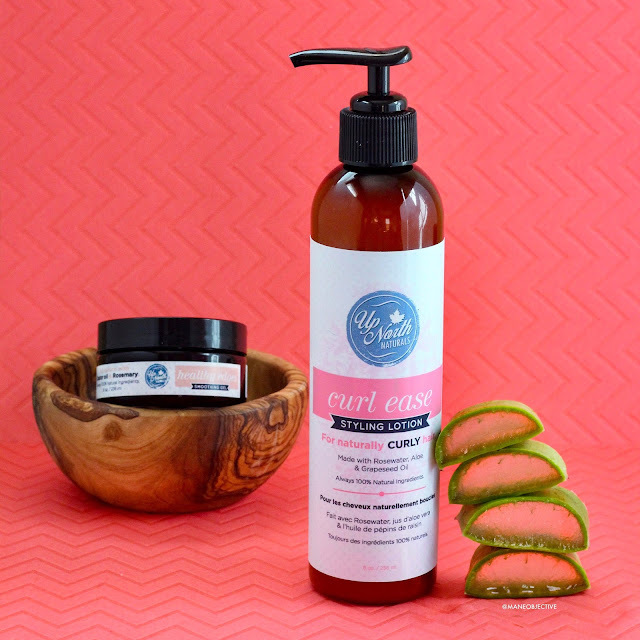 Curl Ease pairs beautifully with the Go 2 Hair Milk, and the 8-Oil Defining Gelly. It plays beautifully with other products in my collection, and even though I've been pretty heavy-handed with application (plus used it a few different times), I've still got over half the bottle. Curl Ease definitely goes a long way. I can't think of one single bad thing to say about Curl Ease. Maybe 16oz bottles? I don't know. But as far as the product itself? Flawless. Oh and if you're a wee bit concerned on pricing, I've got a note on the end of this post about ingredient costs that should help you out! 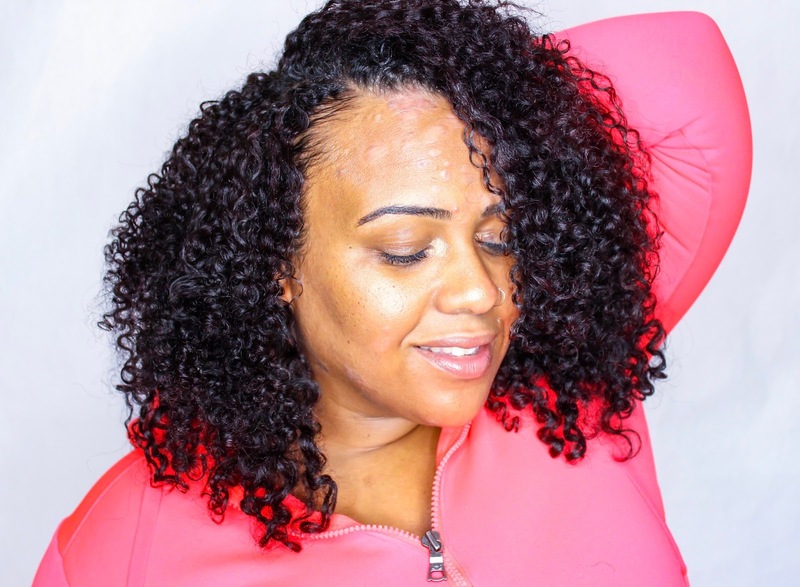 If you need a lil' mo' help in the frizz busting and style department, then you'll definitely want to give Curl Ease a try. If you're like me and prefer gels, definitely pair it with the 8-Oil Defining Gelly for moisture and long-lasting hold. If you've got finer, less difficult to define curls, use Curl Ease alone or pair it with the Go 2 Hair Milk. Either way, you're winning with this one. Rose Distillate: Distillation of rose petals in water, done to harness the antimicrobial, anti-inflammatory, pH balancing, soothing, and blood-circulating properties of rose essential oils. Cremophor A-25: Also known as Ceteareth-25. A cosmetic-grade oil-in-water emulsifier (helps oils and water mix and not separate). Qafquat 737: Water soluble polymer. May also be written as Gafquat. Unfortunately, I don't have much information on this one. Any of my science-y folk - feel free to chime in! Rosemary Essential Oil: Known growth stimulant and extract, used to prevent dandruff and even premature baldness, as well as enhance highlights. The leaves are known to have relatively high levels of antioxidants. Black Currant Oil: Rich in GLA (gamma-linolenic acid) which is a fatty acid that promotes healthy growth of skin and hair. Nourishes scalp and skin while helping to regulate conditions like eczema and psoriasis that cause flaking. Yes! Even though it is silicone-free, the polymers present are still water soluble. I'll spare you the misery of writing another paragraph on my fragrance obsession and just say this - Healthy Edges smells like a very faint version of Curl Ease. Also, no artificial fragrances (as you can see by the full ingredient list above). I will say this - Healthy Edges is unlike any edge control I've ever used. The ingredients are different. The look and feel is different. And I mean different in a good way. Up until this point, my favorite edge controls (tgin, CURLS, etc.) have all had similar ingredient profiles (as far as the styling polymers and hydrogenated oils) and consistency. It's hard to describe it, but if you remember Let's Jam from back in the day, then you'll get this. Did you ever tap or beat on the bottom of a full jar of Let's Jam? You know that hollow reverberation sound you got? Pretty much every edge control I've ever used does that - and it's largely a function of the presence of similar active ingredients for hold and consistency. No judgement, just observation. I love them no less, just using them to state that Healthy Edges is different. When I tap the bottom of Healthy Edges, I hear a solid thud. No reverberations. It's not like a jelly or jam. More than anything, it feels like a hybrid putty and pomade that glides easily onto the hair. Even though it's opaque and white-ish in color, it goes on clear, doesn't cake up, and doesn't leave residue behind. Healthy edges is not sticky, tacky, or greasy. It makes my edges feel smooth and look sleek, without making them appear glued to my forehead (for which I am thankful, because my forehead is big). It's buildable, which means you can use it day after day without buildup or flaking. As an added bonus, it can be used to smooth out frizzy bits - improving the longevity of style. The only downside to Healthy Edges is that it comes in smaller (and a little pricier) than the competition. Most quality (the operative word here is quality) edge controls hover around $9-$11 for 4oz. With Healthy Edges weighing in at 2.8, it's not as much of a "bargain" as others. It's not a deterrent for me, and it shouldn't be for you if you value your edges. I'll explain why in a bit. Healthy Edges is worth it - point, blank, period. If you're tired of feeling like all edge controls are the same, I promise Healthy Edges will change your mind. If you want to use an edge control that's going to help keep your edges on your edges, give Healthy Edges a try. I love it, and it has definitely earned a spot in the top edge control rotation. A little goes a long way, and it's incredibly effective. Oh, and if you're concerned a bit about pricing, just know that it's likely the rose oil and distillation to blame. As a cosmetic ingredient, rose anything is expensive - because it's expensive to produce. It takes over 8,000 pounds of rose petals to produce 32oz of oils. Either way, I'm adding Curl Ease and Healthy Edges to the list of Up North Naturals products that I'm a tremendous fan of. 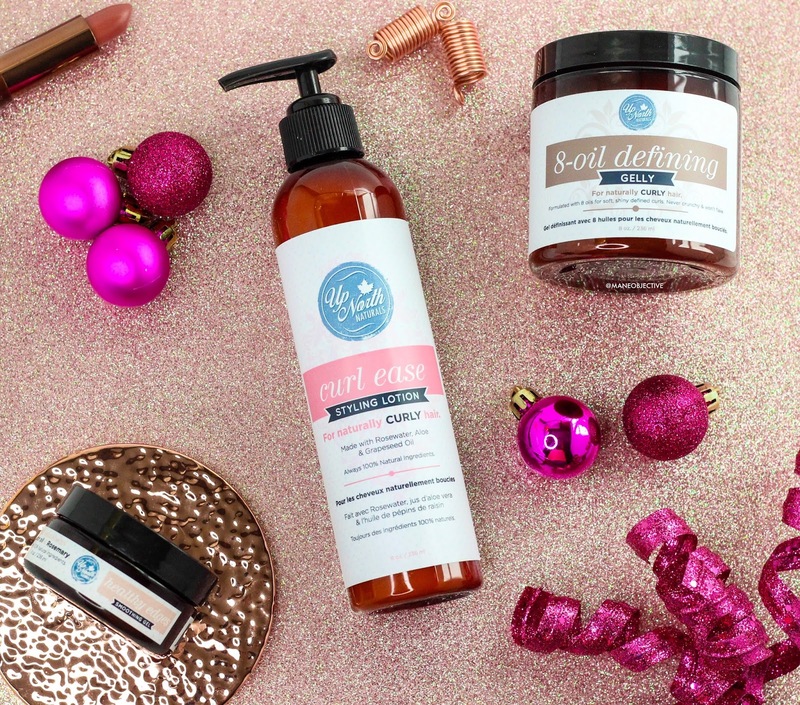 Will you be giving Curl Ease and Healthy Edges a try? Let me know in the comments below! This post is sponsored by Up North Naturals.